A surprisingly warm spice that also offers a very slight hint of woody herbaceousness and a very light citrus tang on top. With the light citrus top Ginger mixes very well with all top notes and will help make them last longer. Blends especially well with Cardamom, Citrus, Cedar, Cinnamon, Clove, Bergamot, Eucalyptus, Frankincense, Florals, Sandalwood, Mints, and Vetiver. 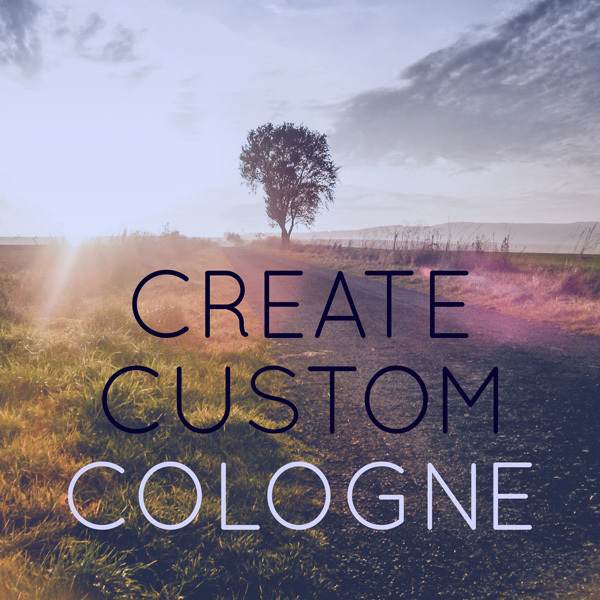 Create your very own bespoke cologne using our on-line cologne builder. All you gotta do is pick up to 5 more scents (1 more Base Note, 2 Mid Notes, and 2 Top Notes. We'll take care of all the heavy lifting for and deliver you a one of a kind blend, sure to make you stand out. It comes in a 100 mL (3.4oz) bottle with the name of your choice on the bottle. Just Remember! The Greatest Smell Ever…is Yours. To simplify your cologne making experience we have divided our gallery of scents into the 3 categories of traditional perfumery. There are Base Notes, Mid Notes, and Top Notes. Each of these evaporates at a different rate, and choosing a variety of each will help you create a well balanced olfactory bouquet. Select a second Mid Note to help round out your scent. Select a top note to finish your scent. Top notes are the most potent when your scent is applied, but tend to dissipate the fastest. Add a second top note to compliment your first.